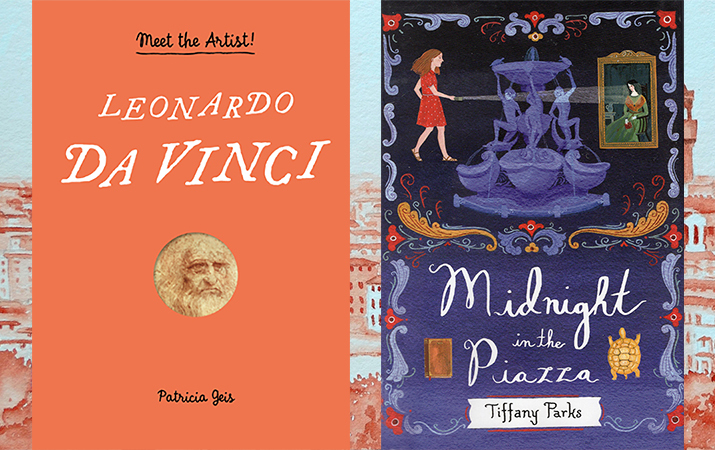 Here’s new children’s books about Italy – mystery adventure set in Rome, pop-up biography of Leonardo da Vinci, Magic Tree House visits a Roman legion camp, three books about Renaissance artists, inventors and thinkers, and more. Midnight in the Piazza by Tiffany Parks. Leonardo da Vinci: Meet the Artist by Patricia Geis. Warriors in Winter (Magic Tree House) by Mary Pope Osborne. The Glassmaker’s Daughter by Dianne Hofmeyr, Jane Ray. Follow Me Around Italy by Wiley Blevins. Renaissance for Kids by Diane C. Taylor. Three books about Renaissance artists, inventors and thinkers, with projects. Good for older kids. Of course, find many more children’s books about Italy, Rome, Florence, Venice,Pompeii on Travel for Kids.